Before we get into the much deserved bashing of this woman, let us take the time to remember that she is the daughter of a philandering, lying ex-president and a heartless robot with zero likability who is also a liar. 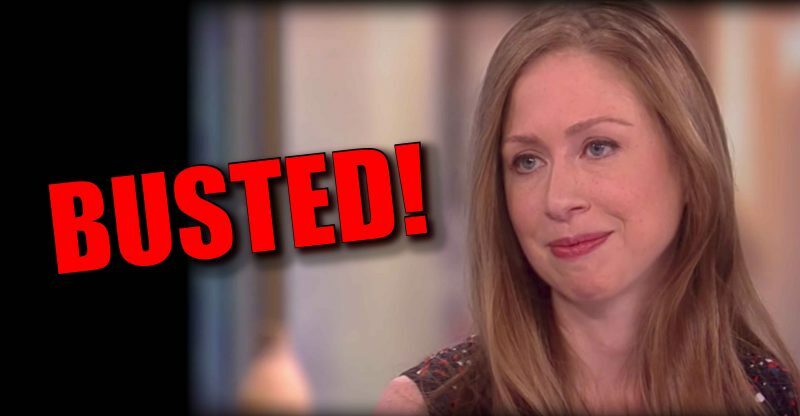 Chelsea Clinton didn’t stand a chance in this world and as we read on and discover what she was all about, we learn that the phrase, “like mother, like daughter” is as credible as it’s going to get for the Clinton ladies. So, what has her all up in arms? Recently a Michigan House bill has been the cause of Chelsea’s recent crusade and it has to do with refusal of service of homosexual individuals by emergency medical techs. But what’s vitally important to this particular claim is that this whole ‘controversy’, is built on a huge lie. Two of them actually! And finally, probably the most important part of this whole thing – none of it was true! And it's apparently not true. Alright, Clinton and Clintonites. Enough with the false narratives already. How about you do your homework and start giving the benefit of the doubt, while you gather the needed facts so you don’t look like a complete idiot. What’s really sad is that she doesn’t even try to make things right and correct her mistake. It was a mistake, but it wasn't an innocent one. Are you kidding me? People, you just have to realize that this woman is trying so hard to prepare for a career in politics, just like her crooked mom. I’m torn between us doing everything we can to stop it, or just sitting back and watching up and not-coming Clinton crash and burn on her own volition. If there is one thing that is true, it’s this – she is as horrible at politics as Hillary.